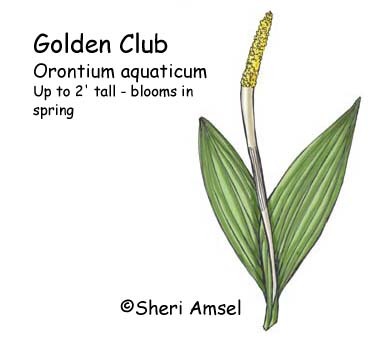 Found in shallow areas of ponds and waterways. 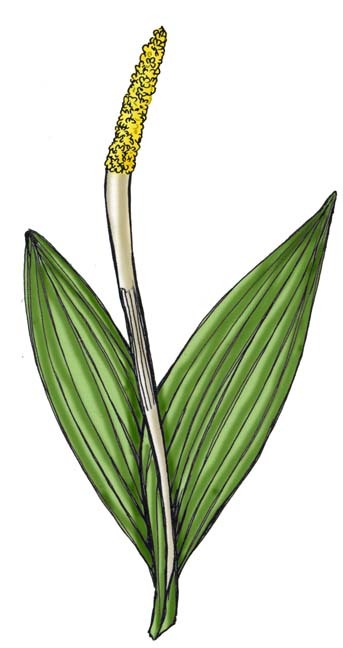 Tiny, yellow flowers are all compacted together on the top of a long stem (spadix) surrounded by 2-3 large, showy leaves. The plant is often found floating. Up to 2' tall - blooms in spring.